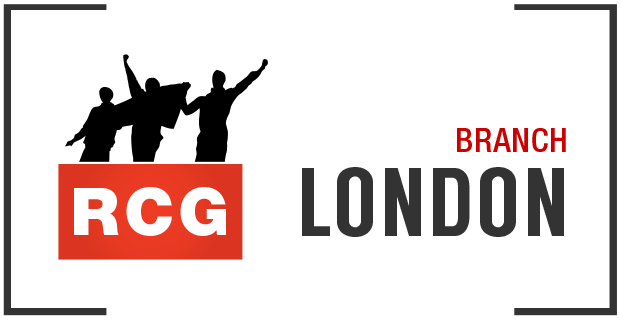 On 21 September, London RCG held a successful public meeting entitled ‘Labour, Corbyn and anti-Semitism: why is solidarity with Palestine under attack?’. This followed a victorious campaign against Zionist attempts to get the meeting banned with baseless smears that it would be anti-Semitic. The meeting was vindication of our refusal to back down in the face of Zionist attempts at intimidation following the shameful passing of the International Holocaust Remembrance Alliance (IHRA) definition of anti-Semitism by the Labour Party NEC. The attempt to ban the meeting was led by ex-Labour councillor and Director of Public Affairs of the Board of Deputies of British Jews, Phillip Rosenberg. Sections of Camden’s Labour Council participated in the attempt to associate Palestine solidarity with anti-Semitism, with the Camden Counter-Extremism team even sending along two council officers to monitor the meeting. It is clear that sections of the Labour Party are now on the offensive to use the IHRA definition to shut down free speech on Palestine. This meeting was a significant victory against this, and an assertion of the right of Palestine campaigners to characterise Israel as a racist state. The first speaker addressed the racist history of the Zionist movement, its support from British imperialism, and Israel’s racist campaign of ethnic cleansing against the Palestinian people in order to establish and maintain its colonial settler state. The second speaker addressed the IHRA definition, the Zionist campaign against the Labour leadership of Jeremy Corbyn, and Corbyn’s subsequent capitulation to Zionism and refusal to stand up for the struggle of the Palestinian people. The discussion covered British support for Israel, the Boycott, Divestment and Sanctions movement, the craven actions of the PSC in Newcastle in their support for Labour councillors who voted for the IHRA definition, and the need to build a new movement in solidarity with Palestine. The few Zionists who attended in an attempt to disrupt the meeting made their racist and pro-imperialist politics clear, praising the role of US imperialism in the world, claiming that children shot by the Israeli army in Gaza are terrorists, and arguing that South Africa was better off under apartheid. It is very clear who the real racists are. Defend Solidarity with Palestine! Zionism is racism! Saturday 6 October, 12pm, M&S, Oxford Street (Marble Arch end), W1C 1AP.